Erupting one peaceful Saturday morning, the failure of this dam destroyed several towns, killed 11 people, drowned over 15,000 heads of livestock, and damaged over $2 billion of property in the area. The fallout of this disaster led to the creation of many oversight groups and committees, dedicated to maintaining the integrity of dams all across the country to ensure that tragedies of this magnitude would never happen again. Finished in 1976, this dam is well known for its catastrophic failure and the subsequent flooding of Eastern Idaho. 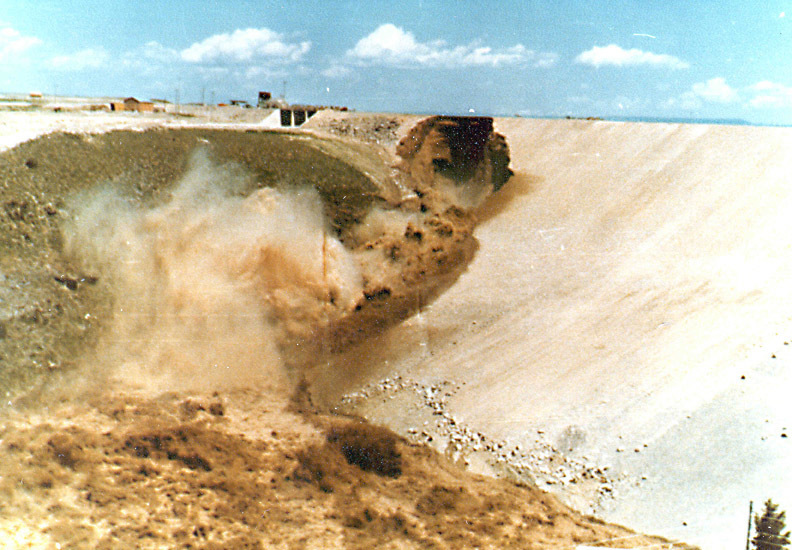 Following years of alternating droughts and flooding, the Bureau of Reclamation proposed the created of a dam in 1963 to help regulate the water. It was planned to be over 300 feet tall and would create a reservoir over 17 miles long. Power turbines implanted in the dam would generate hydroelectric power to be sent to the nearby communities. However, in 1971, conservationists and environmentalists began objecting to the dam, arguing that it would disrupt the habitat for trout and other local wildlife. After a few years of complaints and a trial, construction on the dam began, which was finished in 1976, despite more legal complaints from conservationists and a brief labor strike. On June 3, 1976, only a few months after completion, workers found two small leaks in the dam, followed by a smaller one found the next day. By Saturday, June 5, a worker found more water leaking through the dam, and alerted the supervisors. Soon, a second leak sprung, this one much higher than the last. 2 hours after the discovery, a wet spot appeared on the right side of the dam. Bulldozers were called in to replace washed out material, but it was soon clear that the leak was much larger than they could repair. Preparations soon began for the flooding and local Sheriffs were called to begin the evacuation. By noon, the dam broke and water flooded the area downstream. Cities in the area were soon hit with a massive wall of water. A 15-foot-high wall of water destroyed the town of Wilford, and seriously impacted Sugar City and Rexburg. 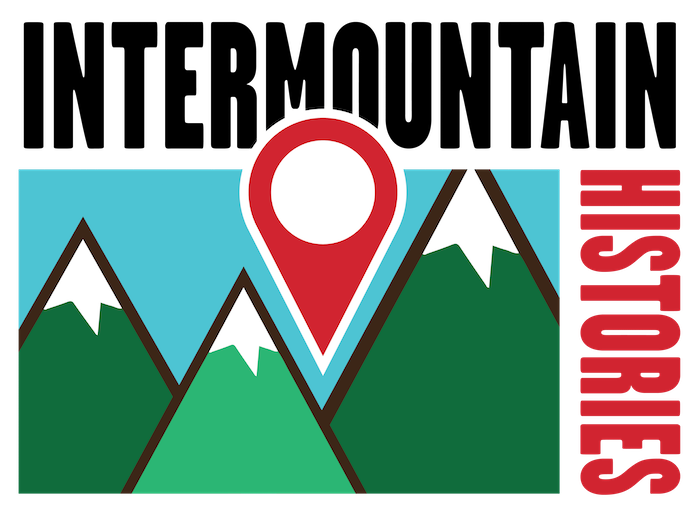 Other nearby towns, like Teton and St. Anthony, were mostly unaffected due to higher elevation. The nearby American Falls dam had been scheduled for much needed renovations and the flooding water threatened the integrity of this dam, as well as the safety of the people in the area. The dam was quickly emptied in preparation for the coming of the water from the broken Teton Dam. 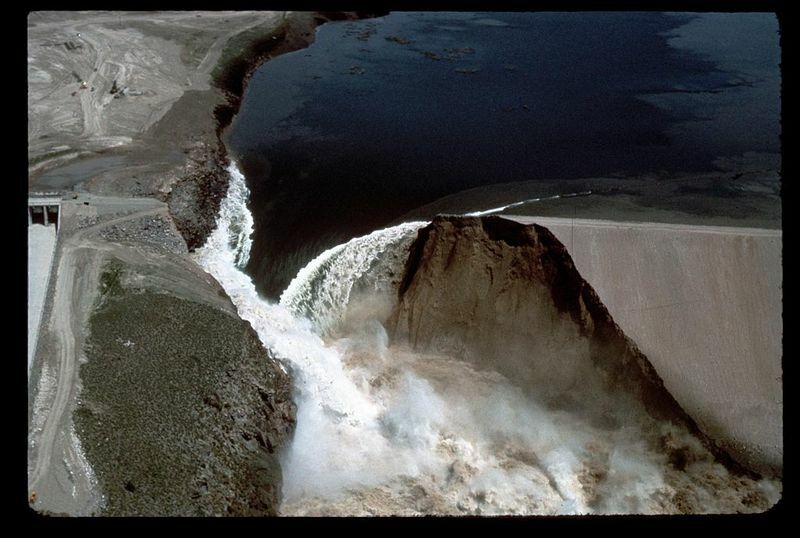 Water, spreading at over 10 miles an hour, from the broken Teton dam reached American Falls on the 7th of June, were the now empty American Falls dam was able to contain it and end the immediate emergency. 11 people died because of the dam and the flood caused over $2 billion of damages to local business and farm and livestock owners. While legal experts found that the government was not liable for the damages caused, President Ford requested funds to help the people affected, and eventually the government paid over $300 million in claims to people who had lost property during the flood. Due to the original failure, the dam was never fully reused. 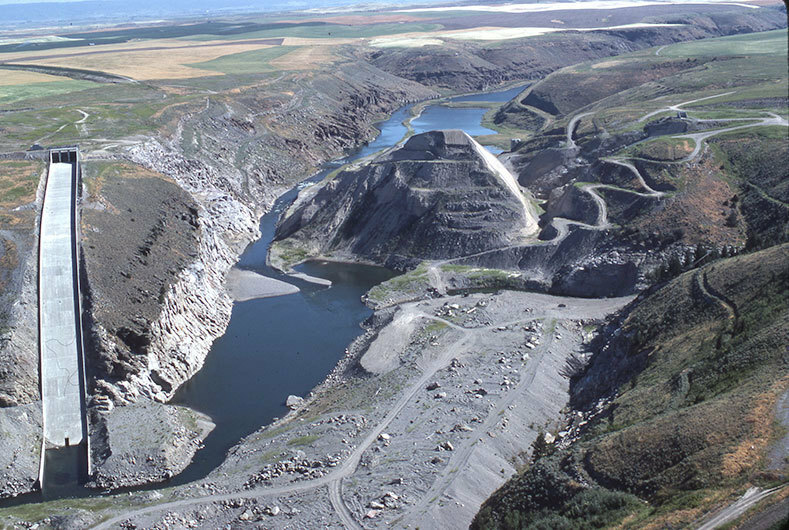 It was the first of all the dams made by the Bureau of Reclamation to collapse, and left a bad mark on their record. The dam was soon repaired and by January of the following year, repairs were completed. 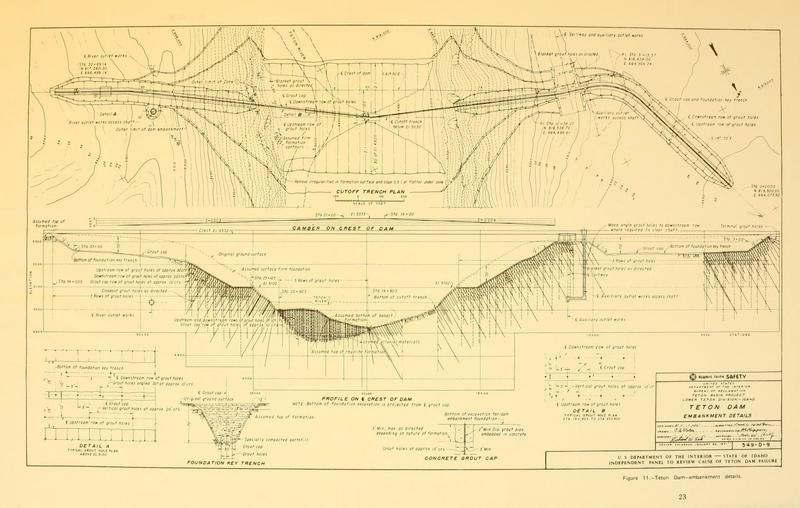 Studies and expert testimony believed that one of the two big problems with this dam was poor placement. Due to the porosity of local rock and the geological instability of the area, many geologists concluded that this was not a good site for a dam. The second discovered problem was poor techniques used in the construction of the dam and poor oversight over some of the aspects of construction. This led to the creation of the SEED, the Safety Evaluation of Existing Dams program, which inspected dams to ensure safety and other legislation to help prevent the reoccurrence of tragedies like this. While the dam was repaired, it was never reused on the same scale that it was originally planned and some have made propositions for its reuse and for its destruction in the last few years. Congressman Leo Ryan, who headed one of the committees that held hearings on the failure of this dam was the second member of the House of Representatives to be assassinated while in office. He was shot while investigating the Peoples Temple, ran by Jim Jones. His death postponed many of the hearings on this dam. Josh Franzen, Brigham Young University, “The Bursting of the Teton Dam,” Intermountain Histories, accessed April 20, 2019, https://www.intermountainhistories.org/items/show/93.